A price channel is created, from the technical development of two parallel lines. The lower trend line is drawn when the price pivots higher, and the upper trend line is drawn when the price pivots lower. The steepness of declines and the resistance the security, which meets at the lower trend line, determine the direction of the price channel trend. 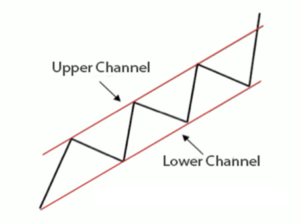 An upward trending price channel will have trend lines with a positive slope, indicating that the price is trending higher, with each price change. A downward trending price channel, will have trend lines with a negative slope, indicating that the price is trending lower, with each price change. 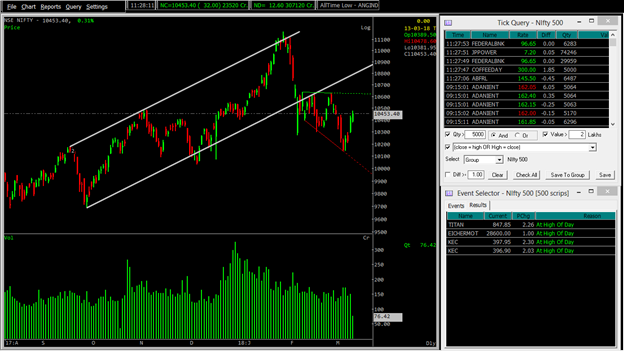 A trader might buy, when price closes above upper bands. A trader might sell, when price closes below lower bands. Investors using both long positions and short positions, have the greatest opportunity to gain, when a security follows a clearly delineated price channel path.